Use this chart to pick the elements (characters, elements of magic, setting, good/evil, etc.) for your own fairy tale. 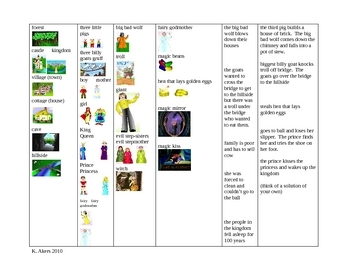 After picking all of these elements, write your own story using the included writing frame.